Headlies: WWE Stars Travel Around In A Van Solving Mysteries To Promote New Scooby Doo DVD - WrestleCrap - The Very Worst of Pro Wrestling! Salem, MA – To help promote this next week’s release of the Scooby-Doo! 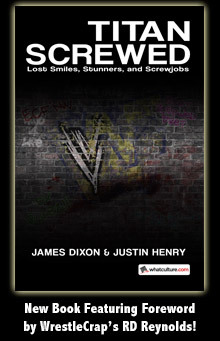 : Wrestlemania Mystery DVD, Vince McMahon has sent several WWE wrestlers around the country to solve various mysteries. The group of amateur sleuths consist of sparingly-used Superstars Justin Gabriel and Curt Hawkins and Divas Eva Marie and Layla. They have been traveling to various haunted spots in a rented van dubbed “The Mysterio Machine” with their faithful Great Dane, Regaly-Doo, who was really just a man inside a well-worn, second-rate Scooby-Doo costume. “Like, zoinks, man! It’s just nice to be doing something! Plus, we’re in a van that was once used by the band moe. Good times, dude! ” said a red-eyed Gabriel. “I don’t remember any misbooked Indians,” said Eva Marie. “And why are they called “fingers” if they don’t ‘ger’?” asked the star of Total Divas, staring at her hands inquisitively. “Jinkies,” sighed a bored Layla, checking her phone to see if her contract had run out yet. The group has been joined by several notable names in their quest to solve mysteries and promote DVDs. The list of celebrities include the starting lineup of the Harlem Globetrotters, Batman and Robin, and the very nervous ghost of Don Knotts. “Ugh, this suit is absolutely ghastly,” said the ghetto Regaly-Doo, whose voice sounded eerily close to that of WWE Superstar William Regal. “Like, be a Man’s Man, Regaly-Doo!” laughed Gabriel. The group joined in laughter as Regaly-Doo covered his eyes and shook his head in shame. 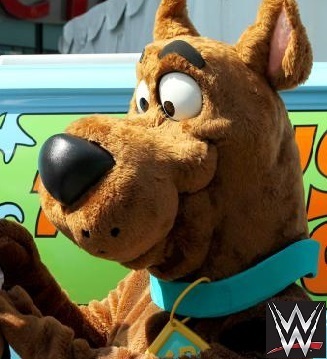 11 Responses to "Headlies: WWE Stars Travel Around In A Van Solving Mysteries To Promote New Scooby Doo DVD"
“Regaly-Doo”- I love this idea. I’d marry this Headlie if I could. 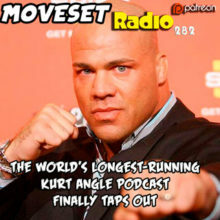 Legit would watch this over and over if it was on the Network. I think we might get something close to it… WWE Superstars doing wacky things in groups, anyway. This group right here represents the greatest faction the WWE, nay, the wrestling world has ever seen. Although I somehow envisioned Heath Slater in the role of Scooby-Doo or maybe it was in the role of jobbing to Scooby-Doo. Either way this would go great hand in hand with Slam City. A Scooby Doo based headline and no mention of the close resemblance between Edge and Matthew Lillard? I’m a little disappointed RVD isn’t involved. He seems like such an obvious Shaggy.